A lawsuit brought by Russian oil firm Rosneft challenging sanctions imposed on Moscow has been referred to the European Court of Justice. 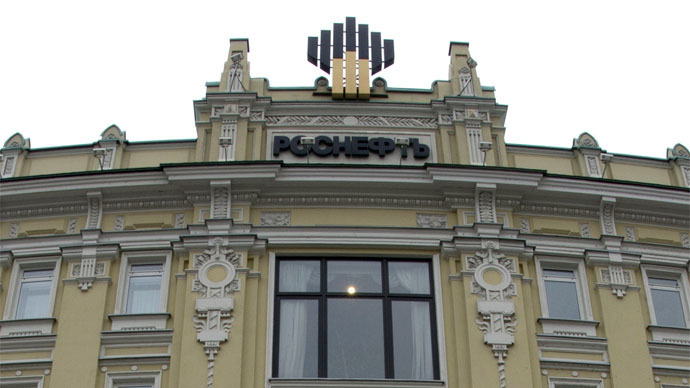 Rosneft’s lawyers maintain the sanctions were hastily implemented and are illegal under EU law. 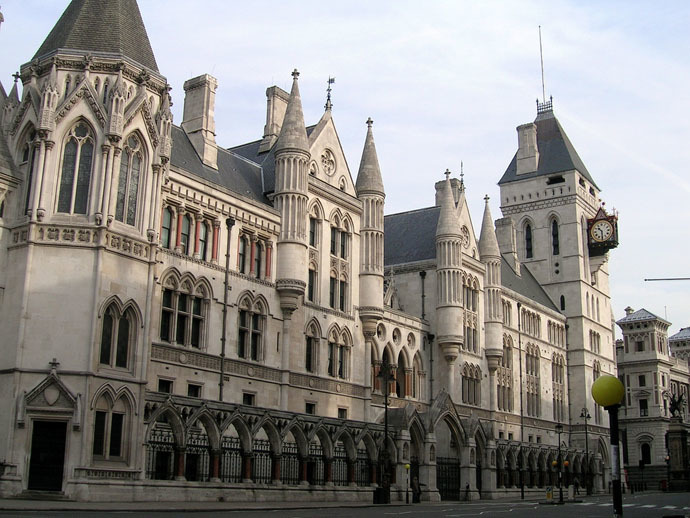 The company had brought a judicial review challenge to Britain’s High Court regarding tough UK measures targeting Russia’s alleged actions in Ukraine. The case was subsequently referred to the EU. Sweeping EU sanctions against Russia were introduced in the wake of Moscow’s intervention in Ukraine, after conflict broke out there last April. They were imposed by Britain in November. Western governments say Russian President Vladimir Putin’s government is backing pro-Russian separatists in eastern Ukraine by dispatching troops and weapons to the region. The Russian government, however, strongly denies these allegations. Restrictive EU sanctions, imposed in the wake of the Ukraine crisis, stop Western firms from offering standard industry services such as well testing, drilling and the supply of float vehicles to Russian pipeline operators and oil producers. Violation of the sanctions could result in up to 24 months in prison. Rosneft, which is currently 69 percent owned by the Russian state, has suffered as a result of the EU-wide sanctions and the recent drop in the price of oil. Last month, the oil firm told the UK High Court that the sanctions against Russia were baseless because they breached a 1994 partnership agreement between Brussels and Moscow. In a ruling handed down Monday, the High Court found that certain points raised by Rosneft’s defense had merit. The oil firm highlighted expressions such as “projects that have the potential to produce oil from shale formations” and “financial assistance” to illustrate its point. Rosneft queried whether the term “financial assistance” in the legislation covered the processing of payments. It also disputed prohibitions relating to depositary receipts issued for the oil group’s shares. Joe Hage, a lawyer representing Rosneft, said the sanctions against Russia had been “imposed without proper thought or justification” and are illegal under EU law. The High Court judges, who presided over the judicial review, concluded it is vital there is “consistency and uniformity” on how the sanctions are applied across the EU. They ruled this could be best determined by the ECJ, Europe’s highest court. The judges also noted the view of Chris Chew, Head of Policy, Export and Control Organisation for the UK government’s Department for Business, Innovation and Skills (BIS). In a witness statement submitted to the court, Chew said differing perspectives regarding the precise meaning of “financing or financial assistance” in the sanctions legislation existed across EU member states. Rosneft was unsuccessful in its previous legal challenge against Britain’s sanctions in November. The firm argued at the time the sanctions were “riddled with uncertainty” and should not be implemented until their legality could be formally challenged in a court of law. Although its argument was rejected and the sanctions were imposed, Rosneft was permitted to launch a judicial review challenge. On Sunday, British Foreign Secretary Phillip Hammond accused Russian President Vladimir Putin of acting like a “tyrant” with respect to Ukraine. Hammond argued that Putin had channeled “troops across an international border” and occupied another state’s territory. The Foreign Secretary said Kiev’s forces were not capable of defeating separatists in Ukraine and that a political solution was required to bring an end to bloodshed in the conflict-ridden state. Hammond’s comments were issued in response to sharp criticism directed at Britain, following the UK government’s failure to take part in recent negotiations in Moscow focused on bringing an end to the Ukraine crisis. The talks, which took place Friday, were attended by German Chancellor Angela Merkel and French President Francois Hollande. 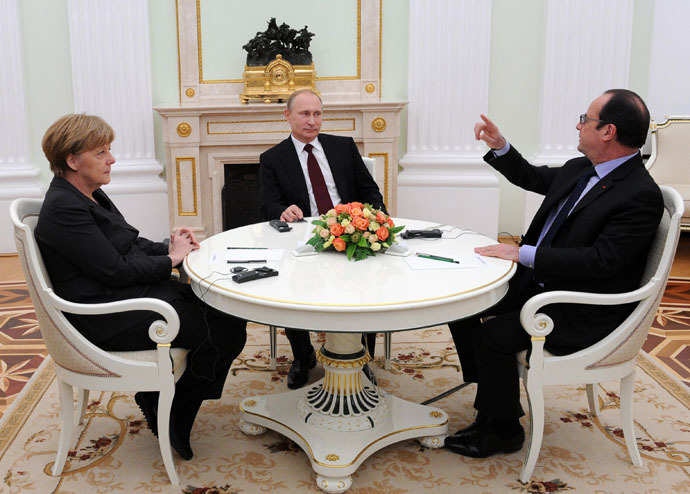 During the negotiations, Merkel allegedly vowed to introduce further sanctions if Russia finds new peace proposals by France and Germany unsatisfactory.